Hey guys, just wanted to share you my current obsession with collecting random things in my life. If you've known me way-way before I started blogging, I have a collectors disease and im not letting anyone stop me. Haha. Anyways, if you follow me on Instagram, you would have definitely seen my recent honeymoon trip to Disneyland in Japan in which I had an amazing time feeling like a child again despite being married. Hehe. 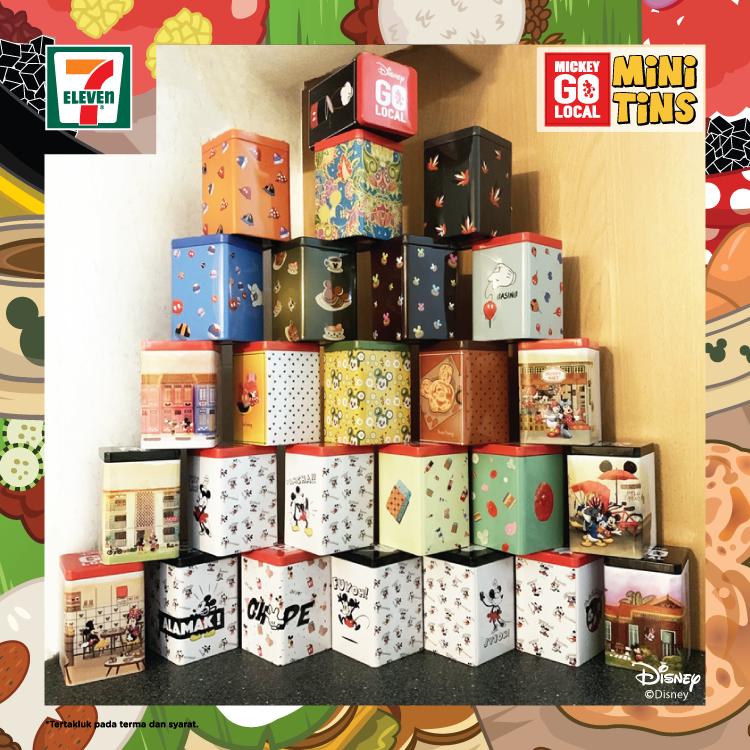 Now ever since then, I have thing weird attraction over Disney products and stumbled upon 7-Eleven's recent campaign which involves Mickey tins! 7-Eleven conveniently being available everywhere, I was coincidentally getting myself a drink on a hot day when I noticed that 7-Eleven had a new on-going campaign featuring Mickey Go Local Mini Tins! Since I reminded me so much about my Disneyland trip, I just had to grab some for hoading reasons. HAHA. Kidding, it's not too much on hoarding, but it also makes great storage for stationaries and hairpins! It comes in 26 designs, each telling different stories showcasing local heritage, customs, language, and delicacies. So if youre a collector junkie like me too, from now until 22 April 2019, you can start taking part in their campaign by collecting stickers where with every purchase of RM5 and above in a single receipt, you're entitled to get a sticker. 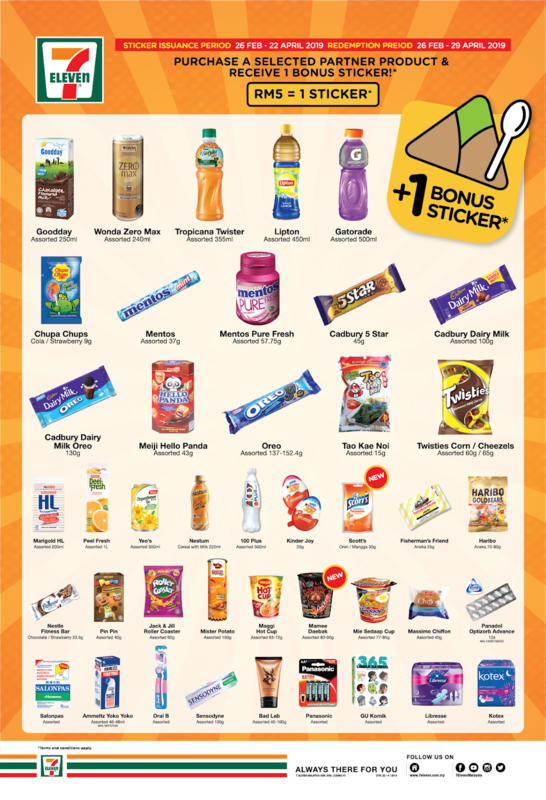 But if you want things fast (like me), then you need to hunt for bonus stickers by purchasing items from their selected partner products such as Mentos, Cadbury, and Wonda. Once you have collected 16 stickers in total, you'll immediately get yourself a Free Mickey Go Local Mini Tin! 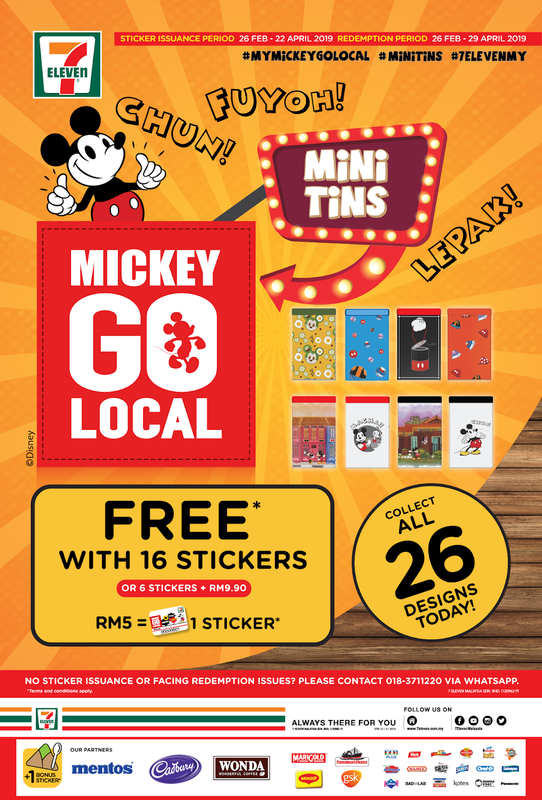 If collecting stickers ain't your forté, then you can also purchase the Mini Tin at RM9.90 when you have reached 6 stickers. Honestly speaking, it's not that hard to reach 16 stickers as most of their bonus sticker partners are pretty much the items that I purchase on a daily basis. Hehe. I've so far collected about 7 of it at home and im looking forward to reaching 10 tins by the time the campaign is over. hehe. I am legit obsessed! OH! And in case you haven't heard, to beat the heat wave that is invading Malaysia, did you know that 7-Eleven recently is offering the Aiskleem, an exclusive soft serve series with a new flavor called Mmmocha. The flavor is a delightful twist of premium coffee and chocolate and is available in selected outlets (click here to find out). 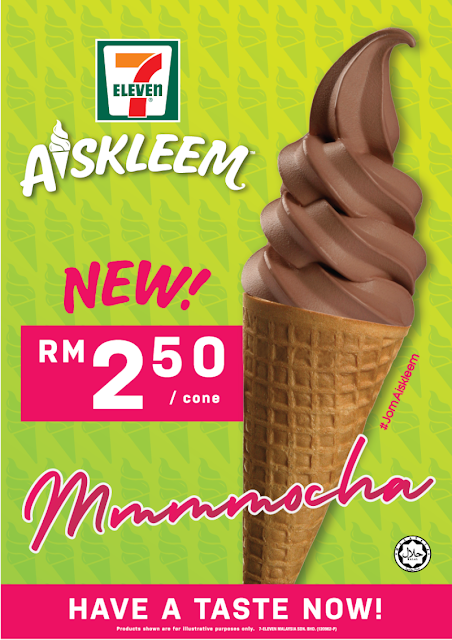 I recently tried it when I was in KL central and damn it was so good for RM2.50! To keep yourself in the loop, don't forget to keep yourself up-to-date by following their social sites which I will list at the end of this post.